Hizen continues the recurring theme of Tomatsu District areas: great views, big rice terraces and quirky local festivals. Ooura Rice Terrace – The Ooura Rice Terrace has been recognised as one of Japan’s best 100 rice plantations. It overlooks a collection of islands known as Irohajima. In April, during the rice planting season, sunlight reflects off the water in the terraces, creating a breathtakingly beautiful picture. Irohajima – If you drive all the way down the road from the Ooura Rice Terrace, you will arrive at Irohajima. 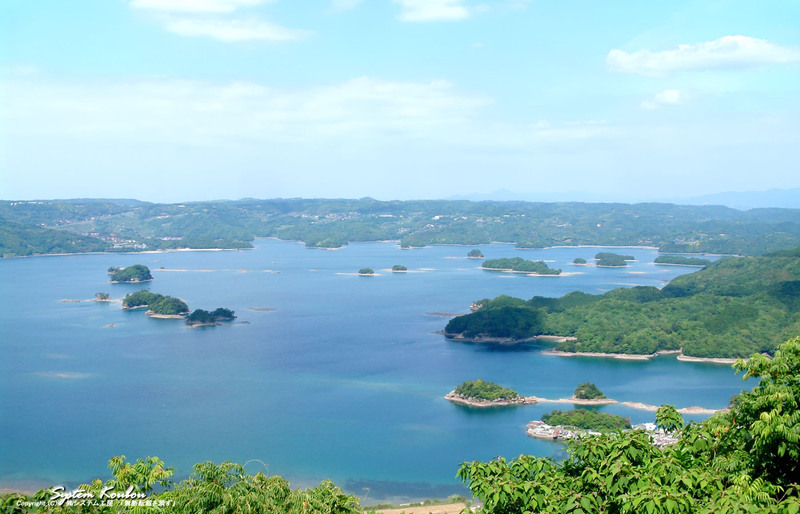 Irohajima refers to a cluster of 48 islands found around the area of sea between Hizen Town and Fukushima Town of Nagasaki Prefecture. Here, you can go fishing, swimming in the sea in the designated areas, or sea-kayaking (booking in advance required). The Irohajima Observatory – provides an unparalleled view of the bay. On New Year’s Day, tourist buses bring guests from the nearby Japanese inn to catch the first sunrise of the year. Hizen Yume-misaki – A local farmers’ market that provides an excellent view of the Hizen-Takashima Bridge, which was completed in 2009 to connect Hizen Town and Takashima Island of Nagasaki Prefecture. You can enjoy hot udon, curry and rice and ice cream here, and the friendly staff even offer free coffee or tea when it’s cold! 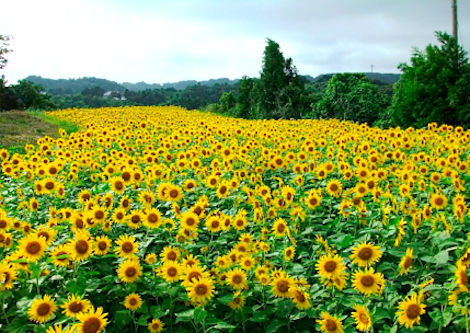 Sunflower fields – In the summer, beautiful sunflowers can be found near the Koboshiki Junction. Nousa Kunchi – Held once every three years (yes, three!) in the summer, the Nousa Kunchi is the local version of the more famous Karatsu Kunchi. Two floats are paraded around town, and visitors are entertained by Game-Odori dancers, a specialty of the Nousa region in Hizen. It is said that the reason for the three year break in-between festivals is due to the financial strain caused by the need for copious amounts of sake that is freely given out to visitors of the festival! Masuda Shrine Fireworks Festival – A festival held to honour a police officer who risked his life to battle an epidemic of cholera, the Masuda Shrine Fireworks Festival is usually held in July, at the beginning of summer vacation. Celebrations typically start in the afternoon, with visitors treated to a performance by the National Police Brass Band. Two floats are also pulled around town, wishing good health and harvest upon its townspeople. In the evening, a grand fireworks display provides a climactic end to the festivities.